In a previous Math Scholar blog, we lamented the decline of peer review, as evidenced by the surprising number of papers, published in supposedly professional, peer-reviewed journals, claiming that Pi is not the traditional value 3.1415926535…, but instead is some other value. In the 12 months since that blog was published, other papers of this most regrettable genre have appeared. As a single example of this genre, the author of a 2015 paper, which appeared in the International Journal of Engineering Sciences and Research Technology, states, “The area and circumference of circle has been estimated till now approximately. Millions of mathematicians all these years of human civilization have tried and failed.” This author then presents formulas, which he derives from a simple geometric argument, for the area of a circle and the circumference of a circle (both involving only simple quadratic expressions). He then asserts that Pi = (14 – Sqrt(2)) / 4 = 3.14644660941…, which he describes as “exact” and “kindly is revealed by God for the benefit of humanity,” as opposed to the merely “approximate” values that have been used in conventional mathematical literature. Needless to say, this author is hopelessly mistaken. 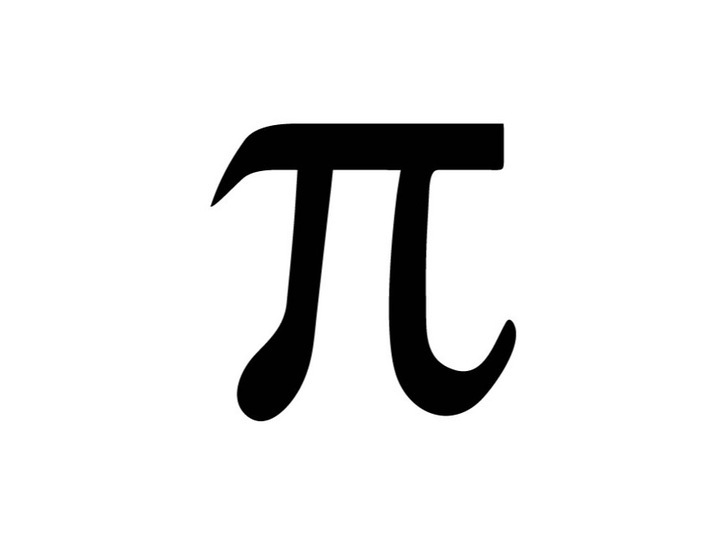 Pi really does equal 3.1415925635…, is given by any of hundreds of known formulas and iterative algorithms, and most certainly is not given by any algebraic expression, much less the simple one presented by the author, which differs from the true value of Pi beginning with the third digit. Numerous other examples of papers “proving” variant values of Pi are given in the previous Math Scholar blog. There have always been, and probably always will be, persons such as the above author who doubt some well-established fact of mathematics, physics or other field, and who attempt to have their writings published. Doubtless many readers of this blog have received email from persons who are promoting such material. The central question here is: How did this and similar papers pass peer review? Relevance to the journal or conference’s charter. Experimental procedures and data analysis. Needless to say, the paper listed above, and others of its ilk, should never have been approved for publication, since such material immediately violates item 7, not to mention items 3, 4, 6 and others. A claim, in a submission to a physics journal, that the speed of light is substantially incorrect. A claim, in a submission to a chemistry journal, that atoms and molecules do not really exist. A claim, in a submission to a biology journal, that evolution never really happened. A claim, in a submission to a geology journal, that the earth is only a few thousand years old. At the very least, the assertion that the traditional value of Pi is incorrect would certainly have to be considered an “extraordinary claim,” which, as Carl Sagan once reminded us, requires “extraordinary evidence.” And it is quite clear that none of the above-mentioned papers have offered airtight arguments, presented in highly professional and rigorous mathematical language, to justify such a claim. Thus these manuscripts should have either been rejected outright, or, at the very least, referred to well-qualified mathematicians for rigorous review. Also, the fervor in this paper and others of this genre should raise a red flag. There is absolutely no place in modern mathematics and science literature for fervor of any sort, whether it be religious, political or philosophical (see item #3 in the list of peer review standards above), since any good scholar should be prepared to discard his or her pet theory, once it has been clearly refuted by more careful reasoning or experimentation. Indeed, the above journal, and other journals which have presented variant values of Pi, are all listed on Beall’s list of pay-to-publish journals. Many of these journals have very loose standards of publication, with only a superficial review at best, in return for charging a fee to authors for having their papers published on the journals’ websites. This is despite the journals’ advertised claims that they are professional, international, “peer-reviewed” journals. The number of such journals has grown explosively in the past few years. As of the present date, Beall’s list includes roughly 8,700 journals, a number that is approximately double that of just one year ago. The result has been a flood of “atrocious” papers, according to researchers quoted in a recent Economist report. In 2013, John Bohannon, a journalist with a PhD in molecular biology, performed an unusual experiment: he wrote several versions of a bogus research paper that claimed that a biomolecule commonly found in lichens inhibits the growth of cancer. These manuscripts, in Bohannon’s words, employed “laughably bad” methodology and baldly stated that the biomolecule was a “promising new drug,” without any clinical trial or other evidence. The manuscripts were attributed to fictional researchers at fictional institutions. Of the 121 journals that Bohannon chose from a list of blacklisted journals, 69% accepted the manuscript they were sent, to be published for a fee. What’s worse, even some non-blacklisted open-access journals also accepted the submission. One does not have to look very far afield for an explanation of this phenomenon: Many academics, under huge pressure to “publish or perish,” are all too eager to publish in a journal of questionable merit, even if a fee is required, rather than wait for the possibly one-year or more review process from a reputable journal, which may well result in a rejection. Besides, if the fact that the journal has a poor reputation is ever pointed out, the author(s) of the manuscript can feign ignorance. A deeper explanation at work here is that most institutions, in hiring and promotion decisions, do not exercise due diligence in checking lists of publications against lists of journals known to have lax standards. Recently Derek Pyne, an economist at Thompson Rivers University in Canada, published a study finding that many of his business school’s administrators, and most of its economics and business faculty, had published in journals on Beall’s list. And such publications seemed to pay off: of those researchers who had published in blacklisted journals, 56% had subsequently received at least one research grant from the school. The school did not appreciate this report, and Pyne was censured. Along this line, Beall himself was pressured to cease compiling his list by his institution; his list is now being kept by another custodian who refuses to be named. Obviously the mathematical community, and in fact the entire scientific community, needs to tighten standards for peer review and to oppose any form of “peer-reviewed” publication that involves only a perfunctory review. But it does not seem useful or even possible to simply “boycott” every open-access or pay-to-publish journal. Among other things, laws recently passed in the U.S. and Canada require taxpayer-funded research to be published in open-access journals. This was done with the best of intentions, even though the outcome is decidedly problematic. But there is something positive that we can all do — write reviews! Editors in many journals, covering a wide range different fields, are reporting that an increasing number of requests for reviews are being declined, or (arguably worse), simply ignored. The present author serves on the editorial board of several journals, some in the field of mathematics and others in computer arithmetic and high-performance computing. The experience is the same in all of these journals — more and more rejections of requests to write reviews. In some cases, the present author has needed to send 15 or more requests to obtain just three reviews. But to ask researchers to write more reviews also means that department charimen and chairwomen, deans and other persons in administrative roles also recognize the importance of writing reviews. If this is not done, then given the huge time pressures that many researchers operate in, reviewing papers will continue to have the lowest priority. In any event, there is a real danger that as a growing number of papers are published with erroneous or questionable results, other papers may cite them, thus starting a food chain of scholarship that is, at its base, mistaken. Such errors may only be rooted out years after legitimate mathematicians and scientists have cited and applied their results, and then labored in vain to understand paradoxical conclusions. One way or the other, the plague of pay-to-publish journals with highly questionable or even nonexistent “peer review” processes must end. The future of all published scientific research depends on it.